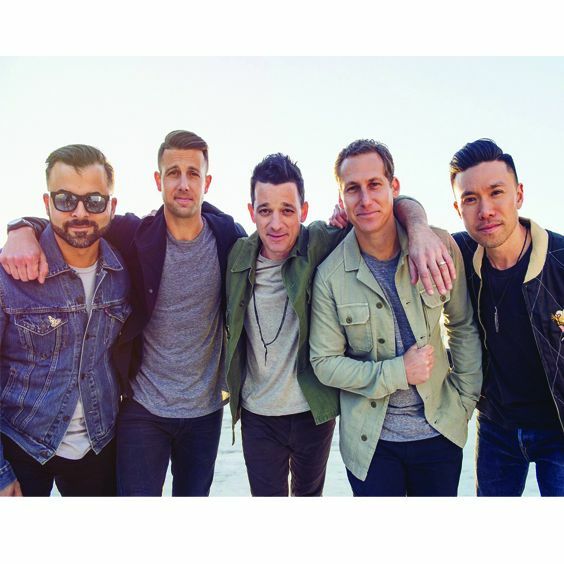 The mighty – O.A.R. RETURNS to the stages across North America this coming summer as they take to the road on their tour dates! Bringing with them on support for this incredible show is American Authors! Both will be LIVE at Red Rocks Amphitheater on Thursday 8th August 2019! Ready to rock and ready to showcase brand new material and their classics that fans just can't get enough of! Tickets are ON SALE NOW and available to book today! "The music. Because in reality, that is what O.A.R. is all about. They truly come alive in the live atmosphere and excel at transforming the sound of their songs from the studio to the stage. Now, nearly 20 years since their official formation as a band, O.A.R. has played arenas like Madison Square Garden and, most importantly, has a loyal, passionate, and diverse fan base that stretches generations and exists in full force across the nation. And if that isn’t incredible, then I don’t know what is." As they started their career all the way back in 1996, nothing could prepare them for what was going to come their way, with jaw dropping performances, each and every time, O.A.R never fail to give their fans what they want. On Lead vocals and guitar is Marc Roberge, drummer Chris Culos, guitarist Richard On, bassist Benj Gershman and saxophonist/guitarist Jerry DePizzo. And as they joined forces to create O.A.R, they have released a total of eight successful studio albums together. They are well and truly known for their incredible live shows and so if you have the chance this year to catch them – then don't miss out!